Lose yourself in a make-believe mermaid world with Fin Fun’s Lotus Moon doll tail set featuring the same Limited Edition design as the full-size version, but perfectly sized for 11.5-inch dolls! Doll not included. 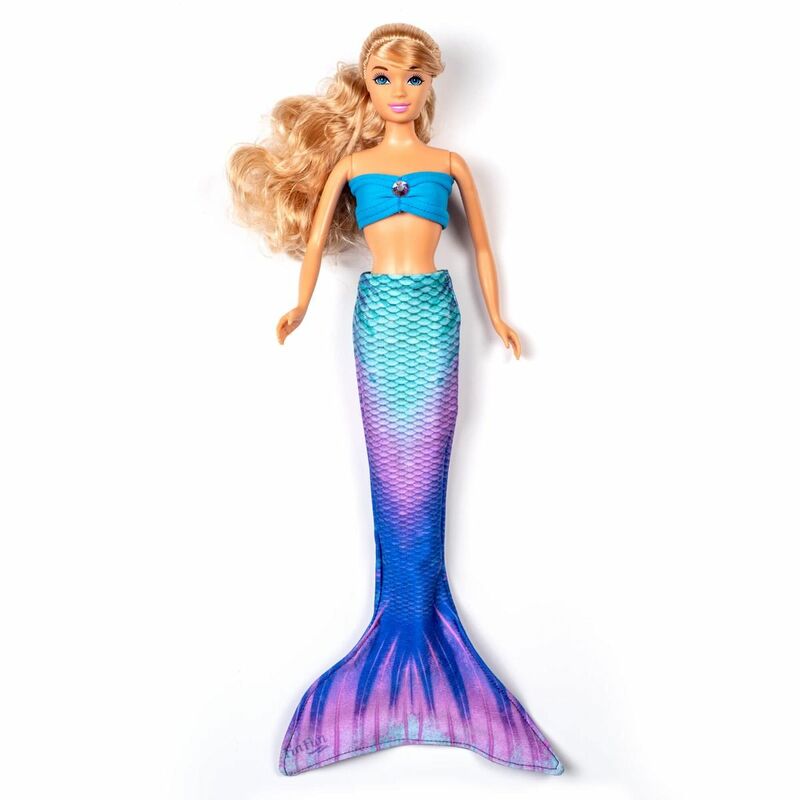 Has your daughter asked if Fin Fun makes mermaid tails for her favorite doll? The answer is yes, and we’ve got a dazzling Limited Edition style now available for both 18-inch and 11.5-inch fashion dolls! Make playtime exciting for your little ones with our Lotus Moon doll tail set featuring breathtaking shades of purple and blue scales that coordinate with a light blue bikini top, adorned with a center jewel. Finding gifts for mermaid lovers has never been easier when you shop at Fin Fun!